Address: 36 Calais Street, Hadleigh, Suffolk. 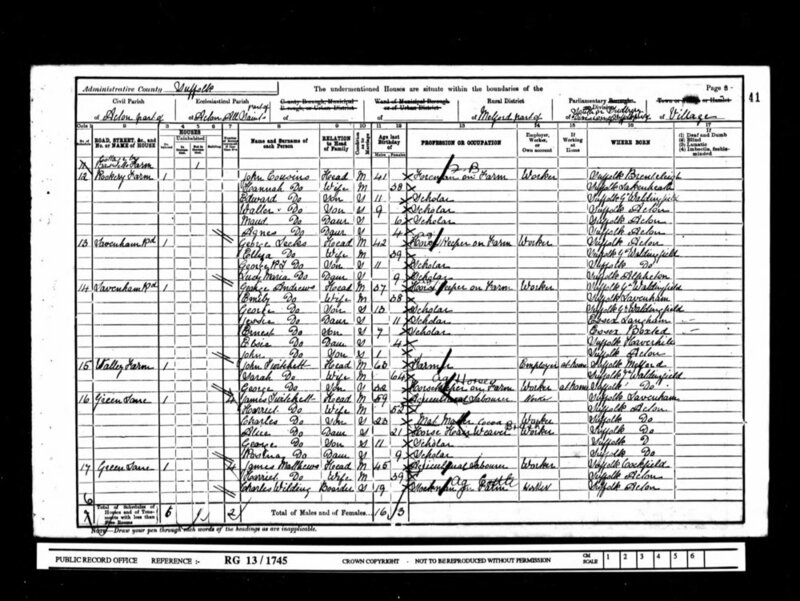 George was born in 1889 at Great Waldringfield and spent his early life with his family living at various places in the Sudbury area. In 1909 he married a Hadleigh girl, Lilian Mabel Willis and set up home at 36 Bridge Street and had a daughter called Rose. George Leeks’ military movements are unclear, although he seems to have been conscripted into the Norfolk Regiment early in 1917 and then transferred to the 2/6th Manchesters. He was in Belgium with the Manchesters in the summer of 1917 and no doubt saw lots of action in the lead up to and during the Third battle of Ypres. The Manchesters went on to take part in the Battle of Poelcapelle in October 1917 which led to the taking of the Passchendaele ridge. Although it came at a cost; 19 dead, 7 missing, 78 wounded and 70 taken sick. 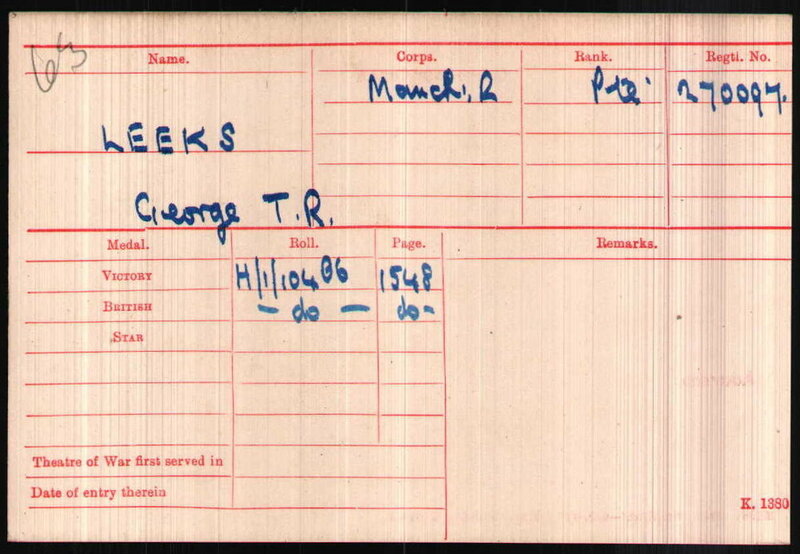 George Leeks was himself taken sick at some point later and transferred to a field hospital at St Omer where he died on 12 January 1918 aged just 28. George was buried in a communal grave at Longuenesse (St Omer) Souvenir Cemetery and is remembered on the Hadleigh War Memorial. 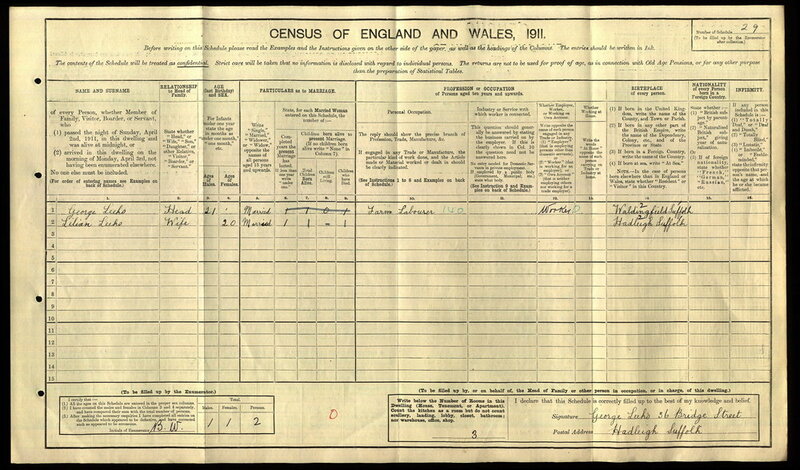 We hope that this page has been able to tell the story of Private George Leeks. If you know of any information which might help to add to the story then please get in touch.